Welcome To The Total Sign Solutions Blog! 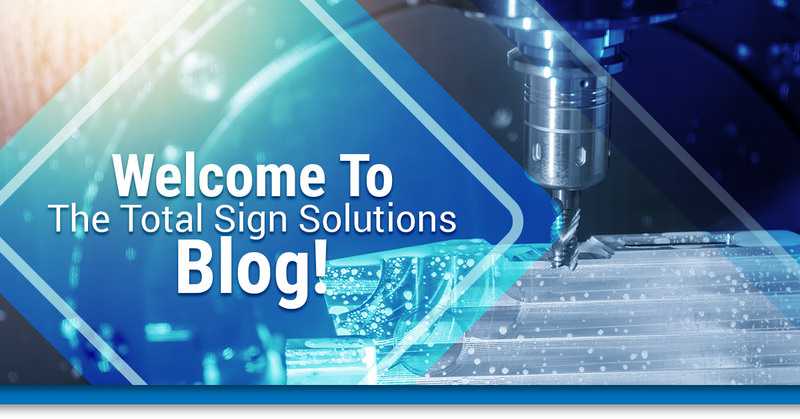 Welcome to the Total Sign Solutions blog! We’re excited you’ve found our Top Rated National® CNC routing company and are considering us for your CNC sign making and laser cutting needs. We want to provide more information about our company background, experience, and CNC sign making services. 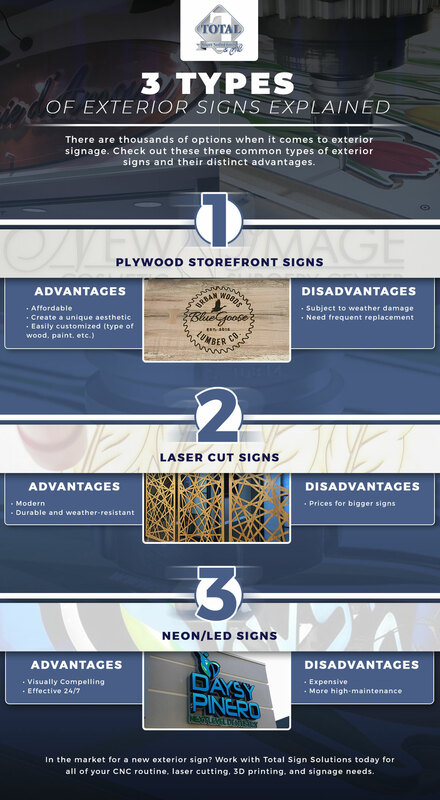 If you’re in the market for new signage for your business, look no further than our CNC sign making and laser cutting company! For more than a decade, Total Sign Solutions has been outfitting small and large business alike with high-quality CNC signs. While we started as a supplier for interior and exterior signs, our business has grown and we now offer wholesale laser cutting, CNC routing, and even 3D printing. We also have established relationships with large restaurant chains such as Red Lobster, Outback, and Bahama Breeze. You can see our signage work featured there! Although we work with high-profile clients, we also pride ourselves on working with individuals and small business to meet their signage needs. Whether you need a prototype for a new idea or want a custom sign for your wedding, there’s no project too small for Total Sign Solutions. If our first decade in business was a sign, we can’t wait to see where the next decade takes our CNC sign making company. As we mentioned, we’re more than just a CNC sign making company. We offer a host of services to meet the needs of your business. CNC Routing — If you want a high-quality sign created efficiently, there’s no better option than CNC routing. Learn more about our CNC routing services here. CNC Sign Making — Whether you need interior menu signs for your restaurant or illuminated marquees for your business, Total Sign Solutions can help. Laser Cutting and Paneling — With our state-of-the-art laser cutting machines, we can engrave and perfect the small details of your project. Laser paneling allows us to create various geometric shapes and designs for your space. 3D Printing — We have in-house 3D printing services, so you can speed up your prototype production at a fraction of the cost. If you’re curious as to how Total Sign Solutions can help with your project, contact our friendly team today! In addition to providing information about Total Sign Solutions and our CNC sign making services, we also hope this blog will be an informative space for our customers. Have you ever wondered how much 3D-printing a prototype would save you compared to using traditional technology? Do you want to know what types of signs are proven to attract customers to your restaurant or business? Our CNC sign making blog will be sure to answer these questions and cover relevant topics to CNC routing. Total Sign Solutions is where creativity meets technology, and we can’t wait to help you put your ideas into motion. Contact us today to get started with our CNC sign making team!